Provides the news, applications, in-depth technical information, new products and vendor information engineers need and trust. Do you wish to receive a FREE subscription to Machine Design? How would you like to receive your copy of Machine Design? Are you involved in the function of design, specification, engineering analysis, technical evaluation, selecting or purchasing of products, components, materials or equipment? 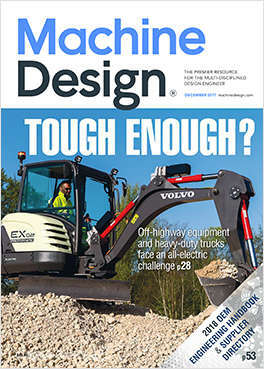 Would you like to receive FREE eNewsletters from Machine Design? For manufacturing and design engineers covering basics of design engineering, product information, as well as educational learning, community resources and more. For manufacturing and design engineers.